The name Geneva well defines the accuracy and the standard of building up this collection. 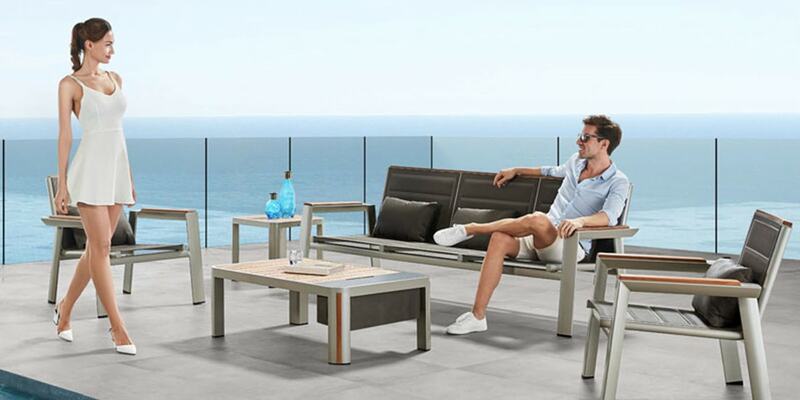 The unique feature is the good combination and setting of three elements, textilene, powder coated aluminum with and teak. 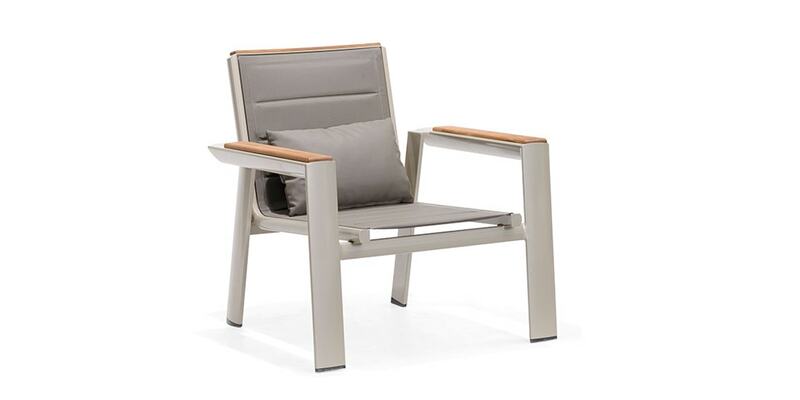 The teak has been perfectly inserted in the aluminum slot of the legs. And the teak on the table top is not with regular shape, but gradually becomes narrow at the end. 5) If the pillow is wet, for long lasting usage make sure the pillow is dry afterwards.